Belvedere Place Contracting Ltd. (BPC) and its associated companies, are expanding general contracting firms servicing the Western Canadian and Caribbean construction markets. Our group of companies has been in continuous operations since 1973. We are 100% privately owned and operated, our head office is located in Kelowna, British Columbia. Our mandate is to provide the highest standards of business ethics and integrity to all our operations. Our employees have proven track records for professional excellence in all fields of our business. We have a vast range of experience available within our organization to tackle any size construction project, along with our ability to network and form strategic partnerships, this expertise has allowed us to perform and complete high level projects in the following countries: Canada, Turks & Caicos Islands, Barbados, Guyana, South America, St. Lucia, St. Kitts, Nevis, Bahamas, Puerto Rico and Dominca. From the start of the project, BPC understands the complexities that are inherent with civil/infrastructure projects, including scheduling, weather, soil conditions, logistics and many other factors that are site specific. We deploy our expertise to identify and quantify the risks and then apply the most appropriate resources to ensure a quality product is delivered on time. BPC is committed to the most current Industry Safety Standards and is continually training and updating our systems to provide workers and clients with the best safety program on job sites. 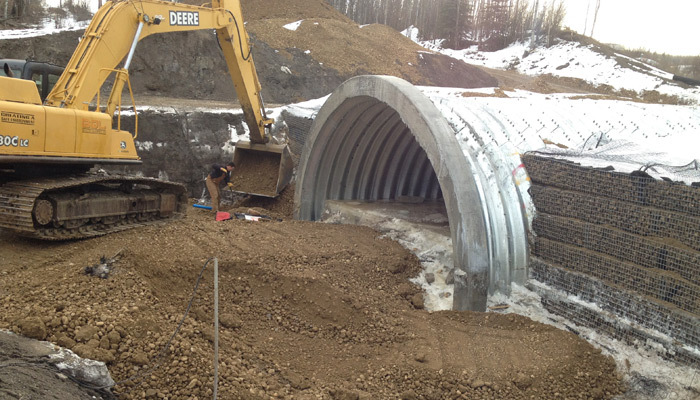 Installation of 40m bridge structure with associated roadworks and installation of Arched Culvert with retaining wall structure and associated roadworks in two locations. 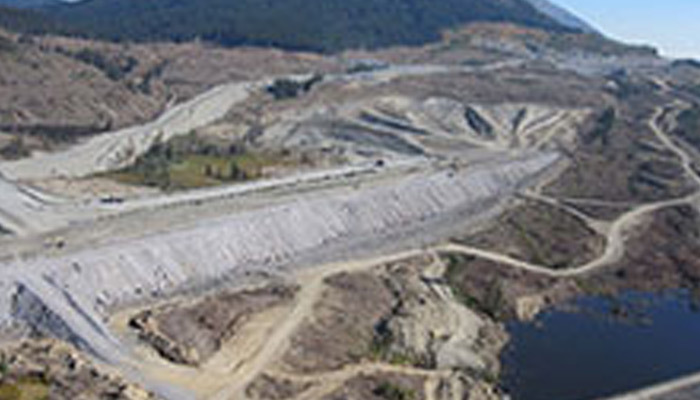 This is the Huckleberry Mine site where we moved 4 million cubic meters of dirt in 5 months!